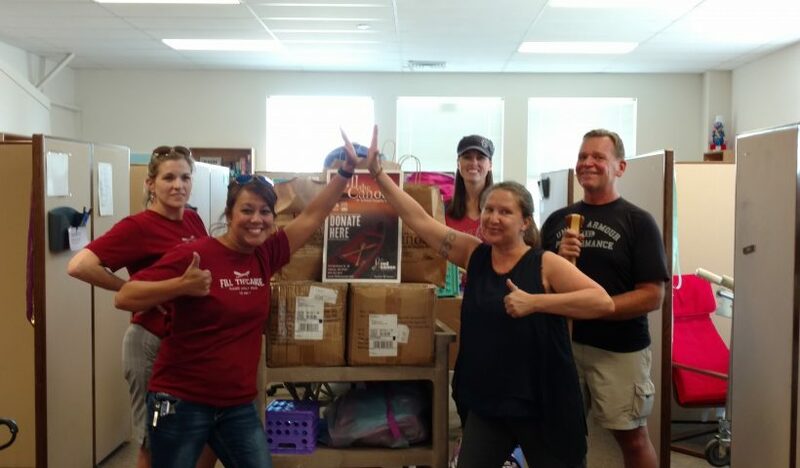 Thank you to Red Canoe Credit Union for delivering more than a thousand pounds of schools supplies to the District FACT office today. FACT is the District’s Families and Communities Together program, which provides support for families in need. 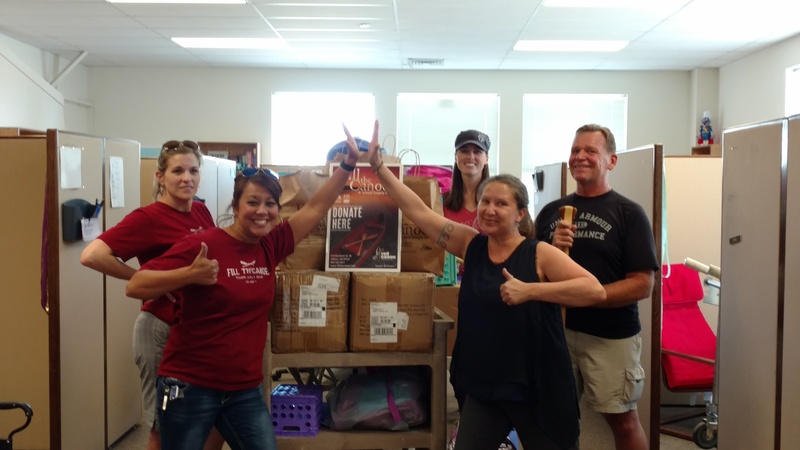 Supplies were dropped off by (from left) Angie Stempson and Carey Mackey of Red Canoe Credit Union, Erin Hull, Tracie Johnson, and Gene Vey from FACT. FACT staff is sorting the supplies now and expect to distribute supplies and backpacks to students next week. Red Canoe staff said they received donations from several community partners, including backpacks from Costco and donations from community members. “We are not the only ones who give out school supplies,” said Amy Davis, Vice President of Marketing at Red Canoe Credit Union. “A big thank you’s to St. Mary’s and St. Vinnie’s and to Love Inc. as well as the others who offer clothing and supplies. I’m sure there are many others we don’t even know about. We live in a generous community,” she said. In addition to the school supplies, Red Canoe Credit Union said they will match the pounds of school supplies collected with a check. She estimated that the check would be available next week. It will help support families served by FACT.